Book today, don't miss out! So you’re planning to walk Hadrian’s Wall Path? But you’re not sure of where to stay? How far to walk each day? And what you must see? Well don’t worry, that’s what we’re here for! We will work with you to devise a route that suits you, booking hand-picked accommodation along the way (not straying too far from your chosen path), and we’ll do all the hard work creating a personal self-guided walking holiday – with no obligation on your part – completely free!! Once agreed, you sit back and relax knowing that your route is planned, accommodation is booked and your bags will be waiting for you when you get there. A hassle free service designed for the independent traveller. 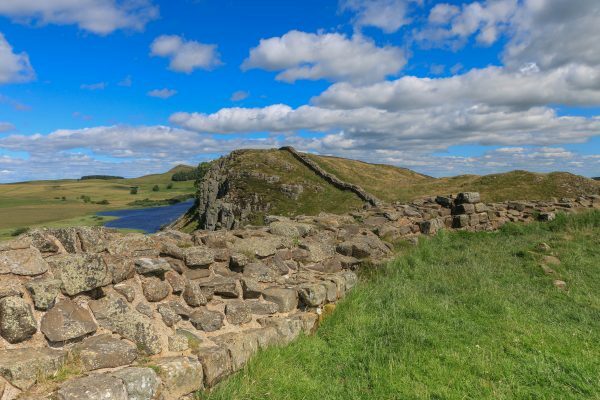 Baggage Transfer Plus is a family run baggage transfer and accommodation service along Hadrian’s Wall, we’re here to help you enjoy walking holidays in a landscape our family has lived in for generations. So you’re not only getting a first class booking and baggage service, but we’re using our own local knowledge to suggest the perfect route, the best accommodation, and the perfect photo opportunities, bringing your walking adventure to life. Visit Albion Trails website, our other holiday site, for more information – Albion Trails. We highly recommend using Baggage Transfer Plus! We are from the United States and found Ian to be easy and responsive to communicate with and very helpful in sharing information. We were always confident that the bags would be there waiting for us. A big “thank you” for your part in making this trip fantastic! "Many thanks for all your help in enabling us to walk Hadrian's Wall. From planning the trip to booking the accommodation, your help was invaluable. And when it came to the walk, your baggage transfer service worked like clockwork." Decide on the route you want to go, pack your bag and let us do the hard work moving it for you. Please just get in touch for a personalised quotation for your trip.